She is one owner from new and she has been every year fully maintained. An MTU engineer controls engines 2 times a year. ALSO EQUIPPED WITH A STERN ENGINE CONTROLS COMING WITH BOW AND STERN JOYSTICKS! 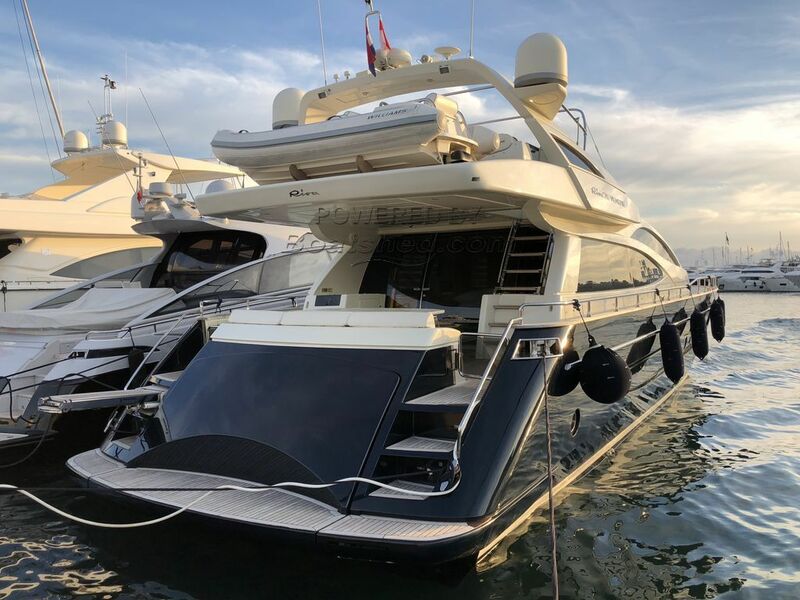 This Riva 75 Venere has been personally photographed and viewed by Antoine Perrin Daragon of Boatshed Riviera. Click here for contact details.